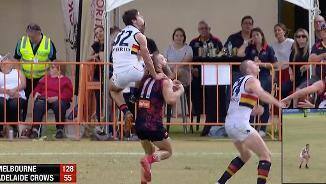 Pounced on by the Crows with their first pick (No.12) in the 2017 National Draft, Fogarty is a dynamic and competitive tall forward who can also go back or play through the midfield. Fogarty is a strong mark overhead, and loves using his physicality to win the ball. 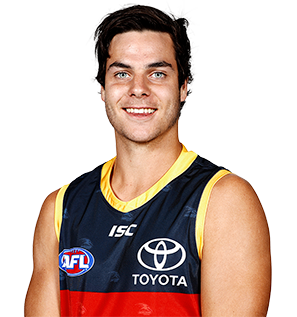 The NAB AFL Academy graduate is a penetrating kick off either foot and uses his frame to lay bone-crunching tackles. 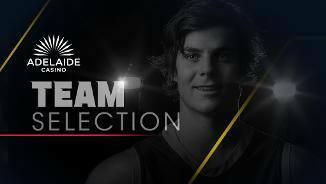 The South Australian product made an impressive debut at senior level with SANFL club Glenelg this year, and was named the Ben Mitchell Medallist for the 2016/17 Academy intake as the player who best represented the program's values.